Today’s world of slots is simply dazzling. 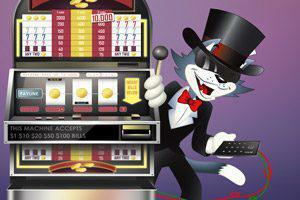 The choices in type of game, style, theme, bonuses and jackpots is immense and growing by the day. Whether you choose to play online at your favourite casino, while on the go on your mobile device, or in the grand halls of the lavish and over the top integrated casino resorts scattered around the world, it’s always a good idea to know your way around before you embark on your great slots adventure. To help point you in the right direction, in this article we’ll take an in-depth look at the types of land-based and online slots you’ll likely encounter, as well as some of the latest and greatest innovations in land-based slots games available today. The first land-based slots stepped on the world stage back in to late 19th century in San Francisco, California, thanks to a man named Charles August Fey. Fey was a noted inventor and tinkerer who ran a small electronics shop in the city. One day, while playing around with mechanics, he realized that he could make a three-reeled mechanical machine that would act as a game. Unlike earlier versions of the slot machine, which accepted money to be able to pull the lever, but had to have prizes given out manually, Fey’s invention could actually give players a cash payout, making them stand out above the earlier “fruit slots”. Fruit slots weren’t exactly gambling, they allowed you to pull the reel for a penny as fruit symbols spin by. If you landed on three of a kind you could get a piece of fruit flavored chewing gum or candy from the machines’ proprietor (usually the bar owner). Fey’s land-based slots machines cut straight to the chase and attempted to remind players of the card games so popular in many bars and saloons of the time. 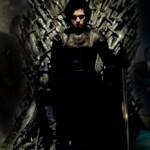 His machines supported five basic symbols on the reels, the Liberty Bell, a diamond, a heart a club and a spade. Insert a penny, pull the lever, get three of a kind and you’d win a cash prize, paid out by the machine. The best thing about it was, as the proprietor was no longer the prize awarding middleman, you could gamble and play slots for real money even when no one was around, no matter what your state of mind or relationship with the bar owner, quickly turning Fey’s machine into the ultimate escape for people from all walks of life looking for fun, a thrill or the chance to make some easy money while taking some time to themselves. Fey first installed his machines in local bars, where they quickly grew in popularity. Unfortunately, gambling was still technically illegal in California at that time and so despite the increasing popularity of his slot machines, Fey was unable to apply for a patent for his invention. Imitators soon sprung up all over the place, copying Fey’s design with different modifications and placing them in bars and saloons across the country. 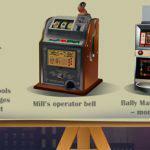 The era of the slot machine was officially born. Today’s land-based casino slots machines come in many shapes and sizes, from the classic one-armed bandits of the late 19th century, heavy table top machines which you can still find in many casino resorts around the world, to state-of-the-art three-reel video slots that come in sleek cabinets, with multiple screens, video clips, flashing lights and digital sound systems. Most traditional three-reel slots contain anywhere from 10-32 symbols, with the number of symbols per reel, also known as “stops” in industry parlance, determining your odds of landing on a winning combination. 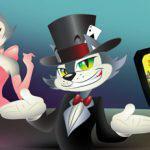 One important distinction to keep in mind when it comes to the difference between traditional three-reel land-based slots and three-reel slots online that you can play for free or real money, is that online slots, as well as the video three-reel slots you’ll find in places like Las Vegas, Reno, Atlantic City or Macau, are unlimited in physical space by virtue of being digital. This means these slots machines can offer up even larger number of stops depending on the particular game. 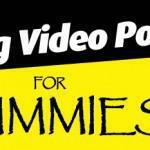 Making the odds of winning on three-reel online slots vary dramatically. For the most part though, three-reeled slots are ideal for slots players who love that tinge of nostalgia that harkens back to earlier times and a simpler life. Most three-reel slots strictly limit the number of bonus rounds, free spins and other fancy features you’ll find in in the more sophisticated five-reel and 3D slots but the thrill, excitement and fun are no less enjoyable. It has long been said that in many things “simplicity is genius”, which is definitely the case for good old fashioned three-reel slots. As slots technology advanced over the years so too did the ways in which slots players could win. Slots evolved from the early, purely mechanical machines of the turn of the 19th century, into electromechanical machines after the first half of the 20th century and on into today’s video and online slots machines. As land-based slots migrated to digital machines the number of options to win in different ways began to grow exponentially. Slots manufactures such as Bally, Novomatic, RealTime Games, Microgaming, IGT and Ainsworth began to produce cabinet-based video slots games with increasing numbers of special features. Perhaps the single biggest breakthrough of the latter half of the 20th century in slots came in the form of multiple payline slots. These land-based video slots had either five or six-reels with multiple paylines lining the far-right hand and left-hand sides of the machines. Get three to five of a kind on any known payline, which can go in different directions and even zig-zag on some machines, as long as you’ve placed a bet on that payline, and you win. These new, state-of-the-art slots machines could have anywhere from 10 to over 100 paylines, dramatically increasing the excitement and winning potential of a single spin. Multiple paylines also meant that you could win more than one way on any given spin, increasing the odds for the player over traditional three-reel slots but also generating additional revenue for the casino. Playing one spin a 100 payline five-reel slot is comparable to playing 100 three-reel slots at the same time, with every spin. While many traditional slots players first found the multiple paylines and bonus features like free spins and prize multipliers that came with the rise of the five-reel video slot confusing, the opportunities to win, combined with the bonus features, quickly made these types of slot machines exceedingly popular on casino floors from the deserts of Las Vegas to coasts of Atlantic City and the tropics of Macau. The next major innovation in slots history came with the inception of progressive jackpot slots in casinos around the world. These machines, first brought to market by IGT in 1986 and enabled by the fact that video slot machines now ran on microchips, powered by a random number generator, were able to pool a jackpot among many machines at different places in the casino and even at different casinos. 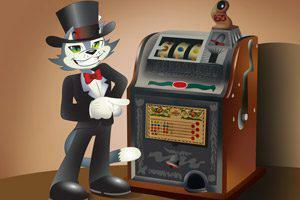 Progressive jackpots function by putting aside a small percentage of each bet and putting it toward the total jackpot. By linking multiple machines in multiple locations, as more and more people played the machines, it became possible to see jackpots quickly rise into the millions of dollars, leading to the age of the instant millionaire. 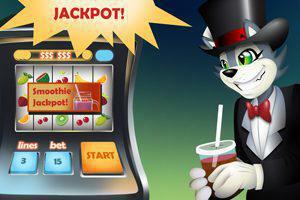 Progressive jackpot slots also quickly moved online as the internet grew and online casinos spread, meaning that someone playing an online progressive jackpot at their favourite online casino, like right here at CoolCat, on their mobile in the middle of a boring business meeting, on their lunch break or while waiting for the bus, could hit a life changing mega jackpot with just one click, no matter where they were. 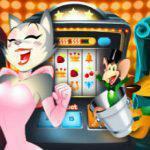 Slots such as Aztec’s Millions, Aladdin’s Gold, and Jackpot Pinatas are just some examples of progressive online slots released by RealTime Gaming in which jackpots can and have reached into seven figures. With technology advancing at a break neck pace, it wasn’t long before 3D slots, movie themed slots and multi slots terminals began to be seen on casino floors around the world. 3D slots take advantage of the computing technology build into today’s land based and online slots to provide the player with a truly immersive slots experience. Often encompassing multiple screens, cutting-edge high-end graphics, digital surround sound and state-of-the-art animation, these machines transport players into other worlds with every spin. 3D slots are well known for the wealth of features they deploy, from bonus rounds that offer up free spins and prize multipliers to games inside games that begin to put these types of slot machines on par with the best video games out today. They often involve elaborate story lines, much like a video game, to give players a multi-dimensional experience while spinning to win. On the back of 3D slots, as land-based slots moved from simple gambling machines into entertainment cabinets, came the first movie-based slots. Slots makers quickly realized that by partnering with film companies, they could use a major motion picture, TV show or celebrities’ brand recognition to draw in players. By incorporating clips from the actual film, TV show or celebrity’s life, these machines served up as much entertainment as risk and reward, allowing players up close and personal contact with their favourite characters. At the same time, thanks in part to ever evolving technology, many land-based slots makers began to release what are now called “multi game machines”. These video slots cabinets allow players to move from one slot to another without having to find another slot cabinet on the casino floor, dramatically expanding the number of land-based slots games on offer in any given casino at any given time. So as you can see, slots have come a long, long way. With continuing advances in contemporary technology it won’t be long before the first virtual reality slots appear on land based casino floors, opening up completely new dimensions in the ever evolving world of slots.